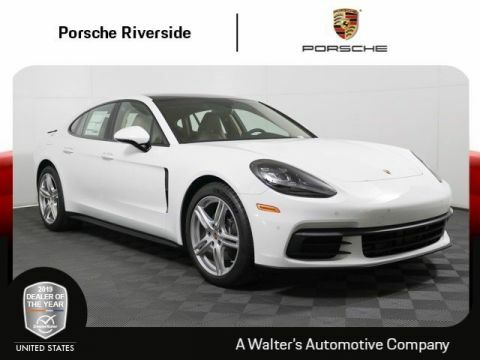 This Porsche Panamera includes the following options: 0Q White 1N3 Power Steering Plus 1NP Wheel Center Caps with Colored Porsche Crest 44G 20 Panamera Turbo Wheels 4D3 Seat Ventilation (Front) GZ2 Soft Close Doors P50 Premium Package PK Standard Interior in Black/Luxor Beige QE1 Storage Package QQ1 Ambient LightingPrice plus government fees and taxes, any finance charges, any dealer document processing charge, any electronic filing charge and any emission testing charge. Prices and offers on inventory expire each night at midnight. 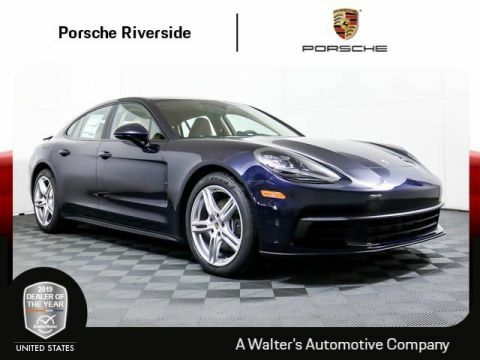 This Porsche Panamera includes the following options: 1N3 Power Steering Plus 1NP Wheel Center Caps with Colored Porsche Crest 44G 20 Panamera Turbo Wheels 4D3 Seat Ventilation (Front) GZ2 Soft Close Doors N5 Night Blue Metallic P50 Premium Package PK Standard Interior in Black/Luxor Beige QE1 Storage Package QQ1 Ambient LightingPrice plus government fees and taxes, any finance charges, any dealer document processing charge, any electronic filing charge and any emission testing charge. Prices and offers on inventory expire each night at midnight. This Porsche Panamera includes the following options: 1N3 Power Steering Plus 1NP Wheel Center Caps with Colored Porsche Crest 44D 21 SportDesign Wheels 4D3 Seat Ventilation (Front) AB Standard Interior in Black F0 Dolomite Silver Metallic GZ2 Soft Close Doors P50 Premium Package QE1 Storage Package QQ1 Ambient Lighting VK5 Air Outlet Grilles PaintedPrice plus government fees and taxes, any finance charges, any dealer document processing charge, any electronic filing charge and any emission testing charge. Prices and offers on inventory expire each night at midnight. 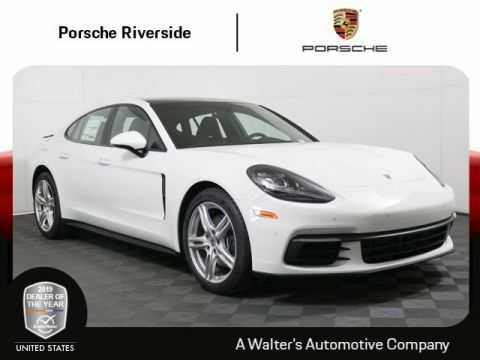 This Porsche Panamera 4 includes the following options: 0Q White 1N3 Power Steering Plus 1NP Wheel Center Caps with Colored Porsche Crest 44G 20 Panamera Turbo Wheels 4D3 Seat Ventilation (Front) AB Standard Interior in Black GZ2 Soft Close Doors P50 Premium Package QE1 Storage PackagePrice plus government fees and taxes, any finance charges, any dealer document processing charge, any electronic filing charge and any emission testing charge. Prices and offers on inventory expire each night at midnight. 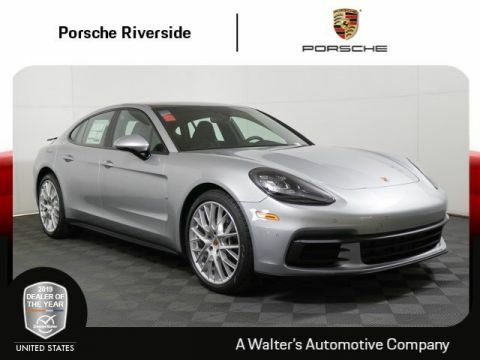 This Porsche Panamera includes the following options: 1N3 Power Steering Plus 44F 21 Exclusive Design Wheels in Silver Platinum 4D3 Seat Ventilation (Front) 5KA Rear 2+1 Seats AB Standard Interior in Black F0 Dolomite Silver Metallic GZ2 Soft Close Doors P50 Premium Package QE1 Storage Package VK5 Air Outlet Grilles PaintedPrice plus government fees and taxes, any finance charges, any dealer document processing charge, any electronic filing charge and any emission testing charge. Prices and offers on inventory expire each night at midnight. 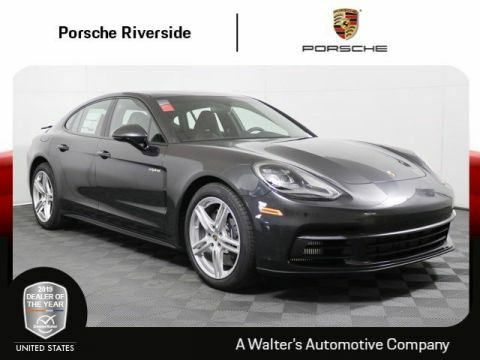 This Porsche Panamera 4 includes the following options: 2T Jet Black Metallic 2ZH Steering Wheel Heating 3U4 Retractable Luggage Compartment Cover 44D 21 SportDesign Wheels 4A4 Seat Heating (Front and Rear) 8A4 ParkAssist (Front and Rear) incl. Surround View 9AH 4-zone Climate Control AB Standard Interior in Black P50 Premium Package Q02 All-Season Tires for 21 Wheels QE1 Storage Package QH1 Voice Control Price plus government fees and taxes, any finance charges, any dealer document processing charge, any electronic filing charge and any emission testing charge. Prices and offers on inventory expire each night at midnight. The new Panamera 4 E-Hybrid will change your view of hybrid technology. And your everyday life. With 462 hp of pure Sports Car performance -- and fuel economy that will impress. This is more than just a courageous step. It is a giant leap into the future. The combination of combustion engine and electric machine is crucial for this peak performance. The combustion engine builds up power and torque as engine speed increases. The maximum torque of the electric machine is available immediately. As a result, consistently high overall torque and dynamic responsiveness are available over an extremely wide rpm range. And your adrenalin also reaches a new maximum level. Getting more power from an engine is worthwhile only when you know where it needs to go. And how quickly and effectively. The latest Panamera models are therefore equipped with a newly developed 8-speed Porsche Doppelkupplung (PDK), which translates the tremendous drive force of the respective engine into the acceleration expected of a sports car. Gears 1 to 6 have a sports ratio and top speed is reached in 6th gear. 7th and 8th gear have a long ratio, which helps to keep engine revs low even at high road speeds -- for efficient and comfortable driving over long distances. The precise gearshifts take place in milliseconds with no discernible interruption in the flow of power -- as you would expect of a sports car. All Panamera models are equipped with Porsche Traction Management (PTM). This active all-wheel drive with electronic and map-controlled multi-plate clutch ensures the optimum distribution of drive force whatever the driving situation -- for excellent acceleration power on long straights, through tight corners and on road surfaces with varying grip. The multi-plate clutch regulates the distribution of drive force between the rear axle and the front axle. Driving conditions are constantly monitored, enabling the system to respond to a variety of situations. Sensors check, among other variables, the rotation speeds of all four wheels, the longitudinal and lateral acceleration of the vehicle and the steering angle. If the rear wheels threaten to spin under acceleration, a greater proportion of drive force is distributed to the front by a more powerful engagement of the multi-plate clutch. Whether you're behind the wheel or occupying a passenger seat in the front or rear: in a Porsche, every drive should feel like sport, not transport. The chassis of the new Panamera models performs this balancing act between sport and comfort effortlessly -- and in the most masterful way possible: with further-developed, optional chassis technologies. Examples include the adaptive air suspension with three-chamber technology boasting a 60 % greater air capacity than that of the predecessor, new Porsche Dynamic Chassis Control Sport (PDCC Sport) and rear-axle steering. What's also new is the integrated Porsche 4D Chassis Control system, which centrally analyses the driving situation in all three spatial dimensions, e.g. pitch, roll and yaw, computes optimum driving states from these data and synchronizes all chassis systems in real time: the fourth dimension. The objective is to optimize overall performance and to make the middle ground between sporty driving and comfort as expansive as possible. Porsche E-Performance is everything that you expect from a Porsche. And more. It is goose bumps. G-forces. Adrenalin. Because we are not satisfied with merely boosting efficiency when we can take performance and driving pleasure to the limits at the same time. There is a good reason why all of our experience and successes in motor sports have a major influence on development. The core of Porsche E-Performance is the vehicle. Our plug-in hybrid technology therefore has to meet two strict requirements. Firstly, it must drastically reduce fuel consumption and emissions. Secondly, it must deliver an experience that pushes the driver firmly back into the seat. Which is precisely the right place to be in a Porsche. This Porsche Panamera E-Hybrid includes the following options: 1N3 Power Steering Plus 1NP Wheel Center Caps with Colored Porsche Crest 44G 20 Panamera Turbo Wheels 4D3 Seat Ventilation (Front) AB Standard Interior in Black EH2 Vehicle Cable (25 ft) F0 Dolomite Silver Metallic GZ2 Soft Close Doors P50 Premium Package QE1 Storage Package VK5 Air Outlet Grilles Painted Meet your new 2018 Porsche Panamera 4 E-Hybrid in person today at Walter's Porsche located at 8423 Indiana Ave. Riverside, CA 92504.Price plus government fees and taxes, any finance charges, any dealer document processing charge, any electronic filing charge and any emission testing charge. Prices and offers on inventory expire each night at midnight. The new Panamera 4 E-Hybrid will change your view of hybrid technology. And your everyday life. With 462 hp of pure Sports Car performance -- and fuel economy that will impress. This is more than just a courageous step. It is a giant leap into the future. The combination of combustion engine and electric machine is crucial for this peak performance. The combustion engine builds up power and torque as engine speed increases. The maximum torque of the electric machine is available immediately. As a result, consistently high overall torque and dynamic responsiveness are available over an extremely wide rpm range. And your adrenalin also reaches a new maximum level. Getting more power from an engine is worthwhile only when you know where it needs to go. And how quickly and effectively. The latest Panamera models are therefore equipped with a newly developed 8-speed Porsche Doppelkupplung (PDK), which translates the tremendous drive force of the respective engine into the acceleration expected of a sports car. Gears 1 to 6 have a sports ratio and top speed is reached in 6th gear. 7th and 8th gear have a long ratio, which helps to keep engine revs low even at high road speeds -- for efficient and comfortable driving over long distances. The precise gearshifts take place in milliseconds with no discernible interruption in the flow of power -- as you would expect of a sports car. All Panamera models are equipped with Porsche Traction Management (PTM). This active all-wheel drive with electronic and map-controlled multi-plate clutch ensures the optimum distribution of drive force whatever the driving situation -- for excellent acceleration power on long straights, through tight corners and on road surfaces with varying grip. The multi-plate clutch regulates the distribution of drive force between the rear axle and the front axle. Driving conditions are constantly monitored, enabling the system to respond to a variety of situations. Sensors check, among other variables, the rotation speeds of all four wheels, the longitudinal and lateral acceleration of the vehicle and the steering angle. If the rear wheels threaten to spin under acceleration, a greater proportion of drive force is distributed to the front by a more powerful engagement of the multi-plate clutch. Whether you're behind the wheel or occupying a passenger seat in the front or rear: in a Porsche, every drive should feel like sport, not transport. The chassis of the new Panamera models performs this balancing act between sport and comfort effortlessly -- and in the most masterful way possible: with further-developed, optional chassis technologies. Examples include the adaptive air suspension with three-chamber technology boasting a 60 % greater air capacity than that of the predecessor, new Porsche Dynamic Chassis Control Sport (PDCC Sport) and rear-axle steering. What's also new is the integrated Porsche 4D Chassis Control system, which centrally analyses the driving situation in all three spatial dimensions, e.g. pitch, roll and yaw, computes optimum driving states from these data and synchronizes all chassis systems in real time: the fourth dimension. The objective is to optimize overall performance and to make the middle ground between sporty driving and comfort as expansive as possible. Porsche E-Performance is everything that you expect from a Porsche. And more. It is goose bumps. G-forces. Adrenalin. Because we are not satisfied with merely boosting efficiency when we can take performance and driving pleasure to the limits at the same time. There is a good reason why all of our experience and successes in motor sports have a major influence on development. The core of Porsche E-Performance is the vehicle. Our plug-in hybrid technology therefore has to meet two strict requirements. Firstly, it must drastically reduce fuel consumption and emissions. Secondly, it must deliver an experience that pushes the driver firmly back into the seat. Which is precisely the right place to be in a Porsche. This Porsche Panamera E-Hybrid includes the following options: 1LP Brake Calipers in Black 1N3 Power Steering Plus 1NP Wheel Center Caps with Colored Porsche Crest 2H Volcano Grey Metallic 44G 20 Panamera Turbo Wheels AB Standard Interior in Black EH2 Vehicle Cable (25 ft) KB2 7.2 kW Onboard Charger P51 Premium Package Plus QE1 Storage Package QH1 Voice Control Meet your new 2018 Porsche Panamera 4 E-Hybrid in person today at Walter's Porsche located at 8423 Indiana Ave. Riverside, CA 92504.Price plus government fees and taxes, any finance charges, any dealer document processing charge, any electronic filing charge and any emission testing charge. Prices and offers on inventory expire each night at midnight. The new engine generation of the Panamera models now takes the next significant step forwards. The all-new twin-turbo V6 engine in the Panamera 4S is lighter and more compact than its predecessor and comes equipped with VarioCam Plus. The two turbochargers are now positioned in between the cylinder banks. This reduces the distance that the exhaust stream has to travel to reach the respective turbo -- delivering a more rapid response. The direct fuel injection in the new generation of engines is realised by a central injector inside the combustion chamber. This optimises both the mixture injection and combustion -- for greater efficiency and increased power delivery. Getting more power from an engine is worthwhile only when you know where it needs to go. And how quickly and effectively. The latest Panamera models are therefore equipped with a newly developed 8-speed Porsche Doppelkupplung (PDK), which translates the tremendous drive force of the respective engine into the acceleration expected of a sports car. Gears 1 to 6 have a sports ratio and top speed is reached in 6th gear. 7th and 8th gear have a long ratio, which helps to keep engine revs low even at high road speeds -- for efficient and comfortable driving over long distances. The precise gearshifts take place in milliseconds with no discernible interruption in the flow of power. Does a sporty sedan really have to look like a sedan? Or can it look rather more athletic? With a taut roof line, for example, that displays a sleek and harmonious contour more likely to be associated with a two-seater? The silhouette and proportions of the new Panamera models are more Porsche than ever. Clearly perceived rounded transitions, powerful muscles and a sharpened sports car silhouette emphasize the precision of the new design. The wheelbase is 1.2 in. longer than that of the predecessor -- the shorter overhang at the front and the longer overhang at the rear lend visual dynamism. The more prominent sculpting of the side creates the customary Porsche waistline and sense of lightness. Characteristic features of all Panamera models: the light strip on the rear end and the slimline three-dimensional LED taillights with four-spot brake lights. The extending rear spoiler integrated into the body reduces lift at the rear axle at high speeds. The interior has been completely restyled -- and nevertheless remains typically Porsche. The center console ascends towards the front. The dashboard is flat and conspicuously wide. The analog rev counter is positioned in the middle of the instrument cluster. Also new is the control concept: Porsche Advanced Cockpit. The center console with Direct Touch Control has a glass-like surface with touch-sensitive buttons for direct access to the most important functions. In between: the compact gear selector. A high-resolution 12-inch touchscreen display is integrated into the dashboard. In conjunction with optional four-zone automatic climate control, the passengers in the rear also have a touchscreen display of their own. Two high-resolution screens, one to the right and one to left of the tachometer, display virtual instruments, maps and a range of other information. Above all, though, there is plenty of space and comfort. Not so typical of a sports car. Absolutely typical of the new Panamera. 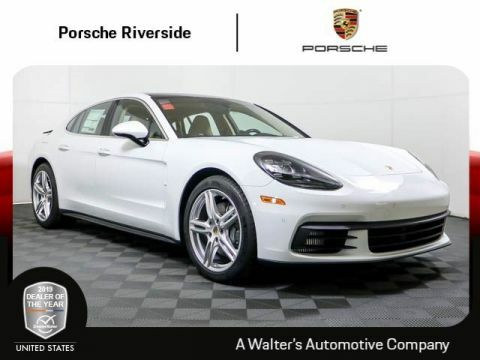 This Porsche Panamera 4S includes the following options: 0Q White 1N3 Power Steering Plus 1NP Wheel Center Caps with Colored Porsche Crest 1XG Heated Multifunction Steering Wheel in Dark Walnut 44G 20 Panamera Turbo Wheels 4D3 Seat Ventilation (Front) 5MP Dark Walnut Interior Package 5ZF Porsche Crest on Headrests (front and rear) GZ2 Soft Close Doors P50 Premium Package PK Standard Interior in Black/Luxor Beige QQ1 Ambient Lighting VK5 Air Outlet Grilles Painted Meet your new 2018 Porsche Panamera 4S in person today at Walter's Porsche located at 8423 Indiana Ave. Riverside, CA 92504.Price plus government fees and taxes, any finance charges, any dealer document processing charge, any electronic filing charge and any emission testing charge. Prices and offers on inventory expire each night at midnight. This Porsche Panamera Turbo includes the following options: 0PA Preparation for Deletion of Model Designation 2Y Carrara White Metallic 43S 21 SportDesign Wheels Painted in High Gloss Black 5MB Interior Trim in Anthracite Birch 6FU Exterior Mirrors Painted AAV Model Designation Painted BB Leather Interior in Black/Bordeaux Red P52 Premium Package Plus P54 Sport Package QE1 Storage Package QJ4 Window Trim in High Gloss Black QQ1 Ambient Lighting VR4 SportDesign Side SkirtsPrice plus government fees and taxes, any finance charges, any dealer document processing charge, any electronic filing charge and any emission testing charge. Prices and offers on inventory expire each night at midnight. 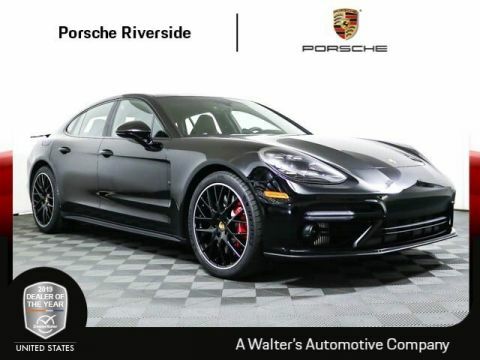 This Porsche Panamera Turbo includes the following options: 0PA Preparation for Deletion of Model Designation 43S 21 SportDesign Wheels Painted in High Gloss Black 5MH Interior Trim in Carbon Fiber 5ZF Porsche Crest on Headrests (front and rear) 8T3 Adaptive Cruise Control (ACC) A1 Black AAV Model Designation Painted AC Leather Interior in Black KS1 Head-Up Display P52 Premium Package Plus P54 Sport Package Q1J Adaptive Sport Seats (18-way) with Memory Package QJ4 Window Trim in High Gloss BlackPrice plus government fees and taxes, any finance charges, any dealer document processing charge, any electronic filing charge and any emission testing charge. Prices and offers on inventory expire each night at midnight. The Porsche Panamera made its debut many years ago and changed everything—particularly for sedan drivers. The Panamera delivers a sporty spin on the average sedan. Sedan models used to be large and cumbersome—but not the Panamera. 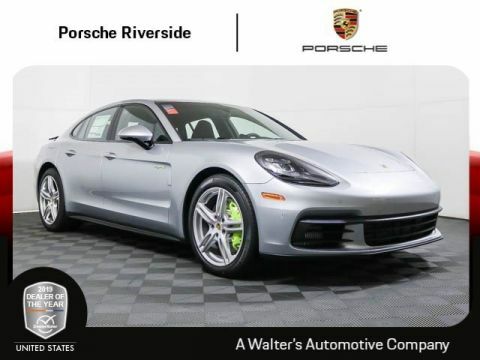 It’s a sports car with four seats, an unmistakable silhouette, and performance figures that are normally only associated with the Porsche brand—not the sedan segment. The latest version of the Porsche Panamera is lighter and more compact than its predecessors—allowing it to effortlessly deliver the exciting drive that the brand’s vehicles are known for. 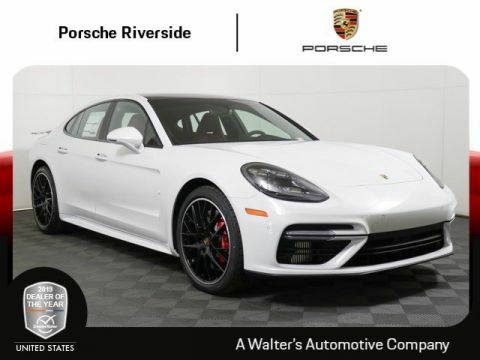 Available now at our Riverside Porsche dealership, the Panamera features an all-new twin-turbo engine underneath the hood, that’s sure to deliver the white-knuckle thrills that Los Angeles area shoppers are longing for. Get behind the wheel of a new Porsche Panamera today; check out our current Porsche Panamera lease specials. 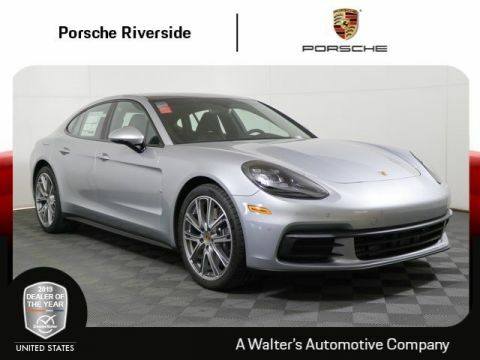 The Panamera proves to Riverside and Los Angeles area drivers that a sporty sedan doesn’t really have to look like a sedan. It can look more athletic. The Panamera features a taut roof line and sleek, harmonious contours that are normally associated with a two-seater vehicle. 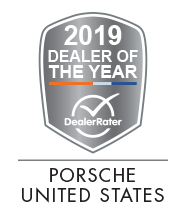 Visit our Porsche Panamera dealership to see for yourself. 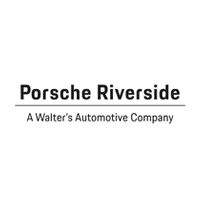 To learn more about the Porsche Panamera, contact Porsche Riverside today.